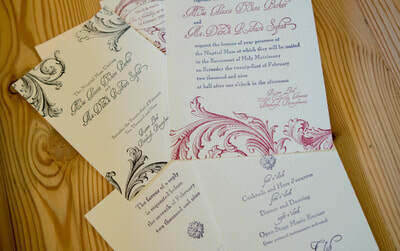 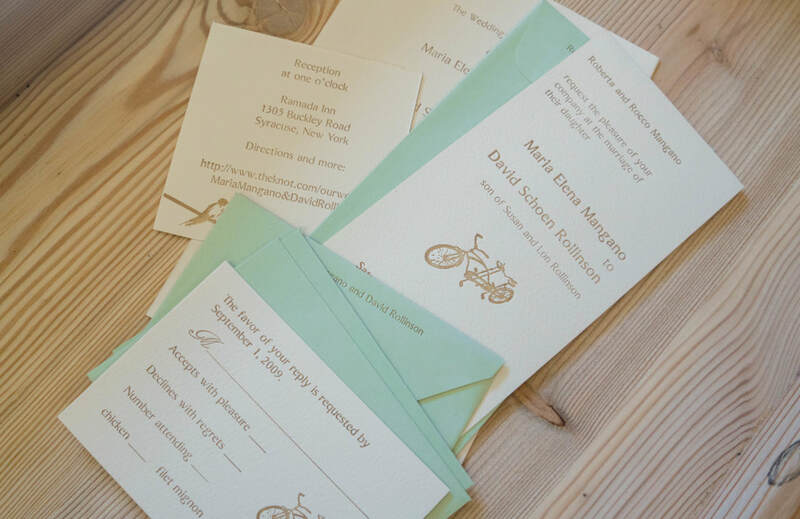 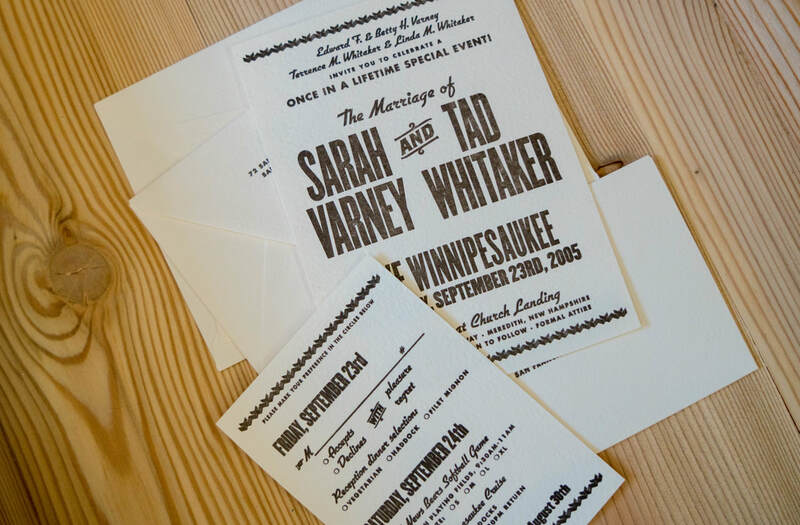 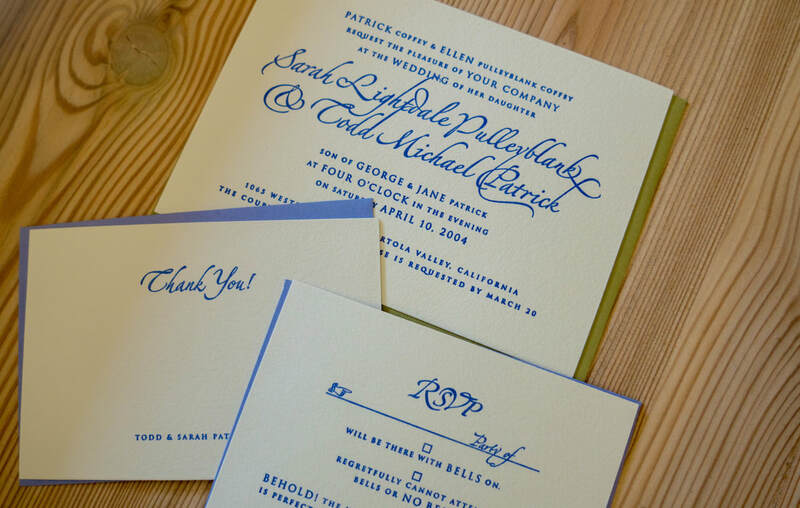 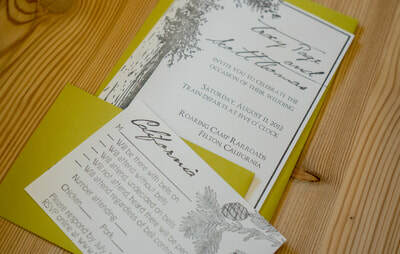 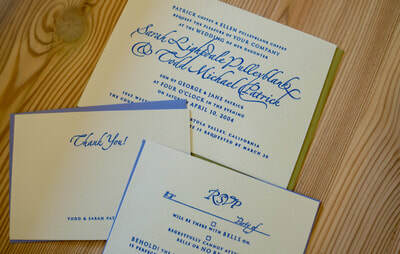 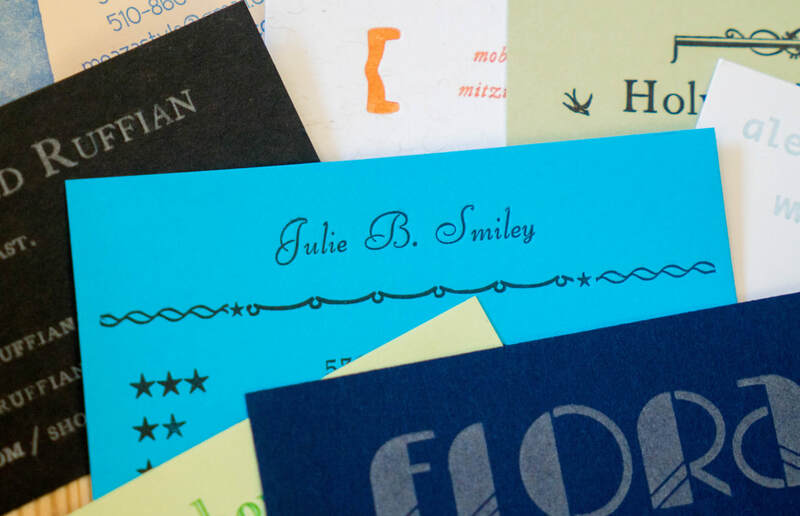 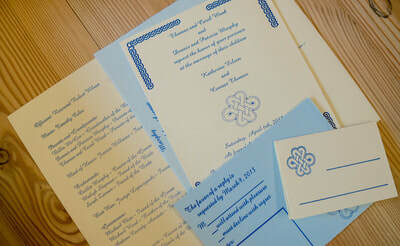 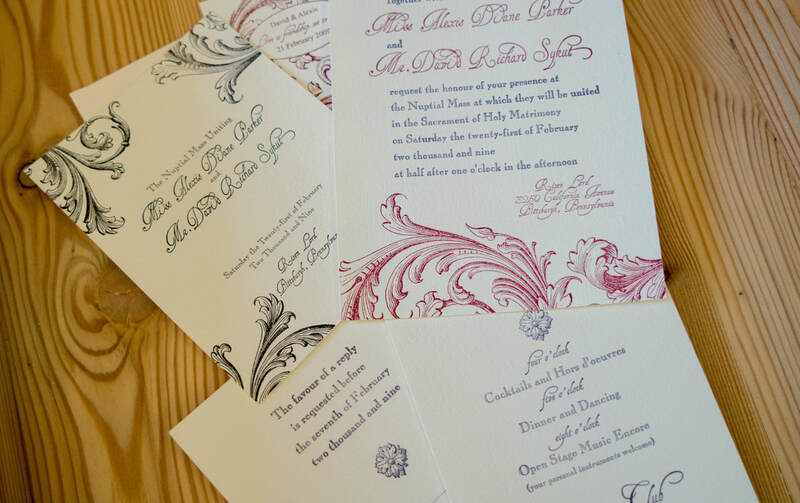 Deep Ink Letterpress prints a range of custom letterpress work, including wedding invitations, birth and adoption announcements, music packaging, business cards, personal stationery, graduation announcements, gala ​swag, bar/bat mitzvah invitations, broadsides, and chapbook covers. 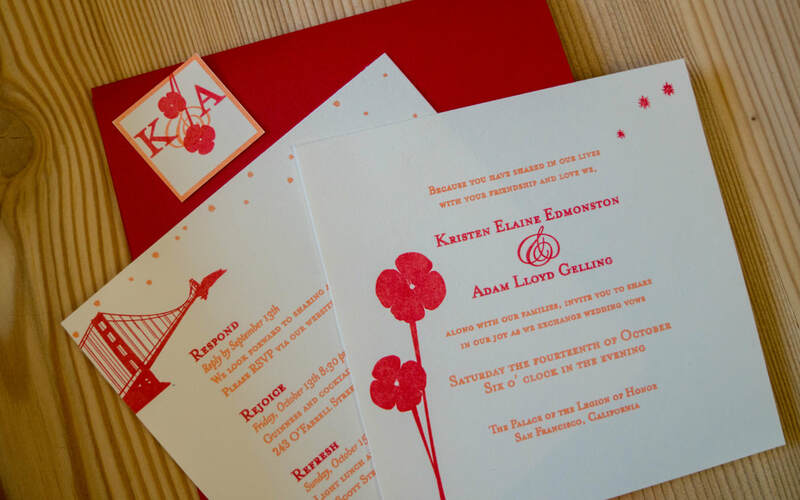 ​Although we print custom invitations and stationery for clients all around the country, we love working ​with local clients and graphic designers. Some of our core values when working are being honest about ​ ​budgets and never trying to sell you on more than you need. We would like you to be as thrilled ​ ​about your invitations as we are about helping you make the most of your special event. 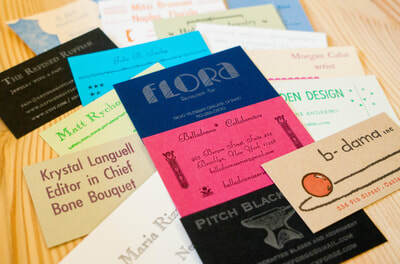 ​​Please browse our gallery for a glimpse of the vast array of commissioned ​​letterpress work we have done over the years.